This past weekend was the last one I will have to myself until after Christmas. Rather than clog it up with plans and going places, we spent almost all of the weekend at home, sleeping in, resting, reading, watching teevee, and watching the chickens. Sometime on Saturday afternoon I noticed a lot of wrigglers in the pond, so we tipped all the water out. 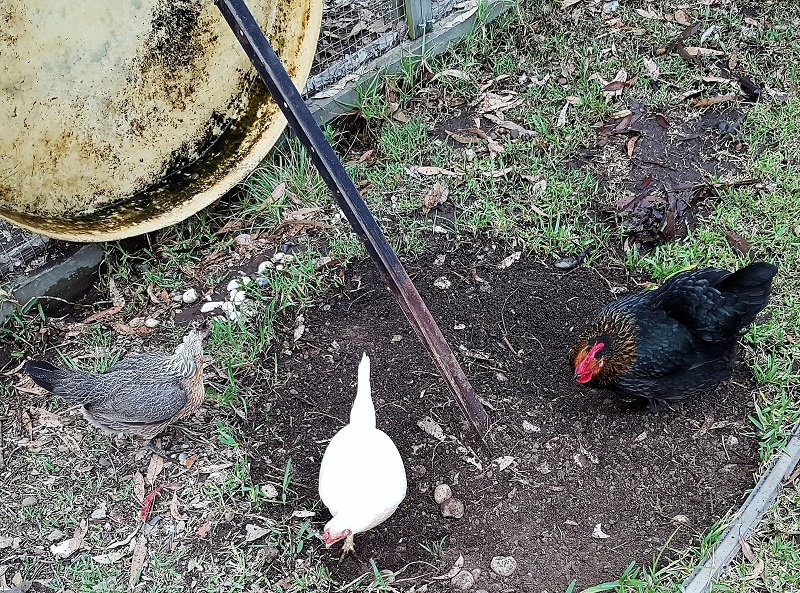 The chooks thought this was a great plan, and deeply enjoyed digging up the ground underneath, looking for bug treats. Here is Finn, dustbathing until the white turns grey. On Sunday afternoon, after plenty of lazing about, we suddenly decided it was time to do some jobs we’d been meaning to do for a while. I did clean out the chicken coop. For over 7 years now, the floor of the chicken coop has been covered with lino. The lino has been deteriorating slowly, today part of it kinda gave up. 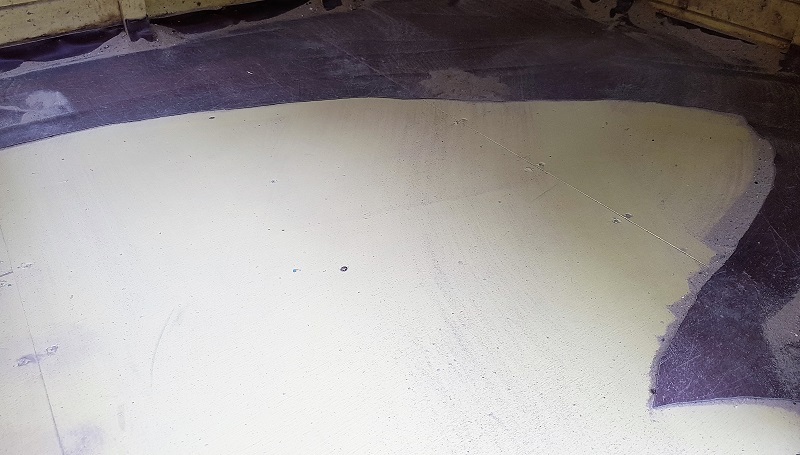 It is ok, the floor is painted with many levels of undercoat and then Taubmans Endure. 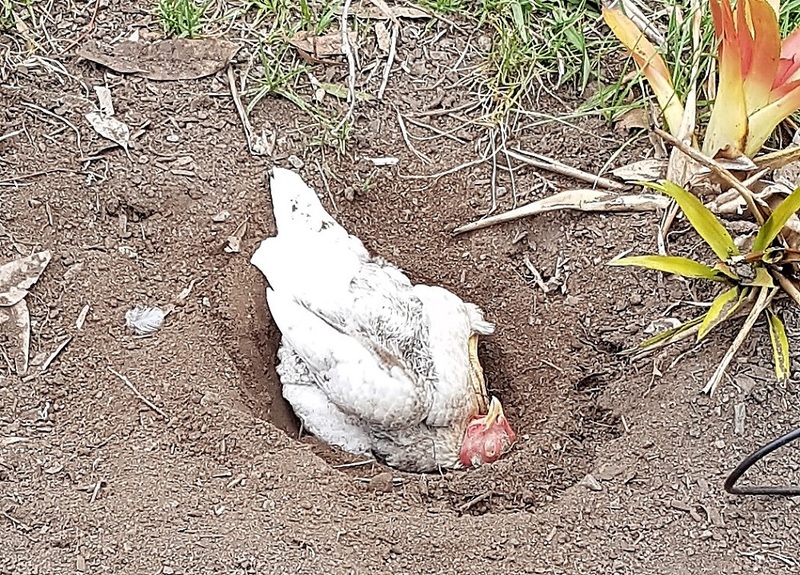 But I’d rather there be something between the sand and chicken poop, so next coop clean out we might have to figure out a new plan for this. While I did that job, The Other Half did the clean out the gutters job. 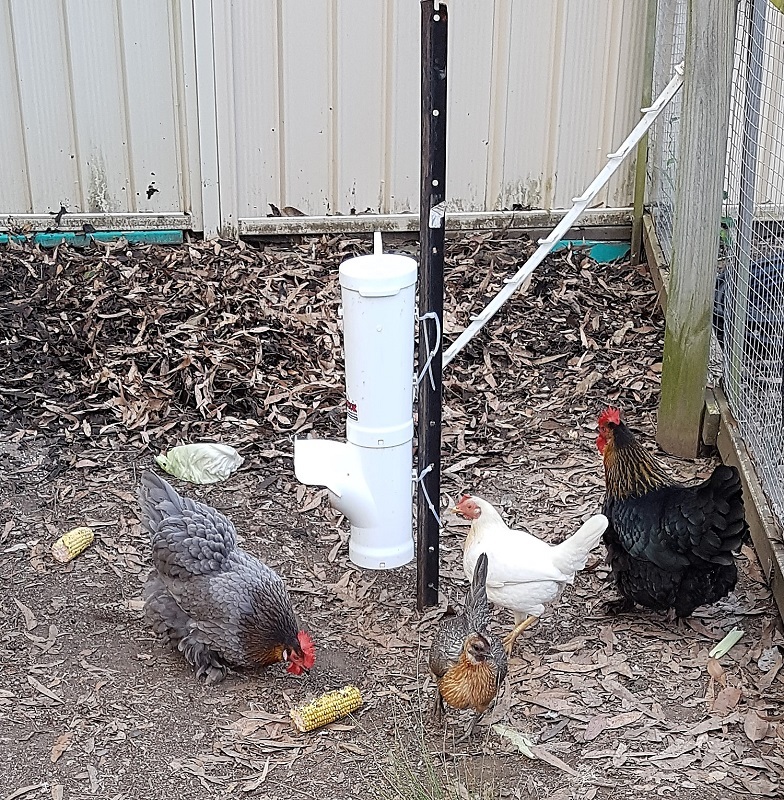 The chickens were gifted with the leaves and gleefully picked through them looking for bugs to eat. Then they were given some corn on the cob, and the last bit of cabbage. Plus some blueberries. Earlier in the day they got watermelon, and the day before, egg and cucumber. 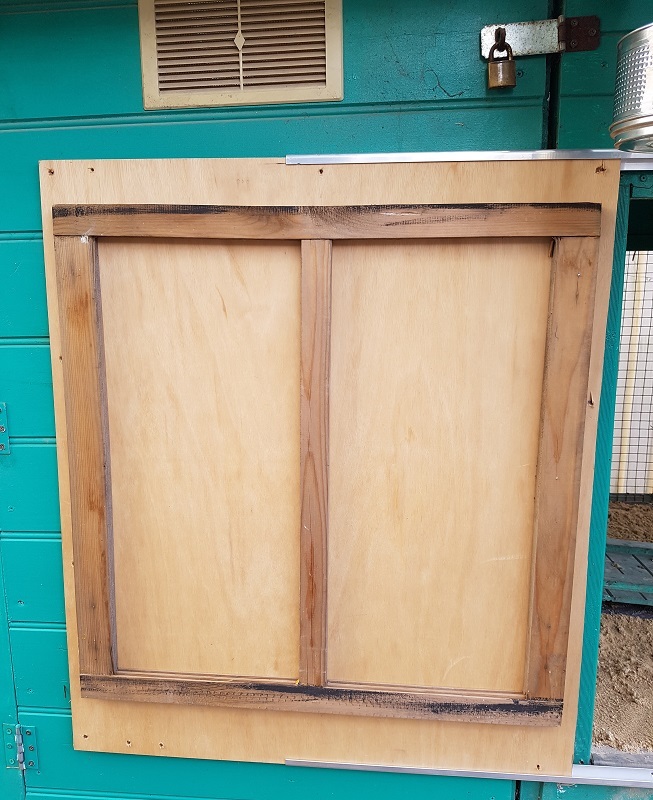 Every night since the fox attack, the chickens have been literally boarded into the enclosure each night with a piece of marine plywood. This was partially for our own comfort levels, but also because we needed to figure out a new door solution which we could rely on.. We believe we have worked it out, we have installed tracks for this door. The trouble with this solution is they do need an adult to come and let them out in the morning. They are most unimpressed with this plan. The early bird has to sit inside and watch the worms from a distance, they cannot catch them. Two weeks have passed, in which time the fox has not returned. We have a motion activated camera and we had a trap set up – we took the trap back today and have now moved into defense mode, with motion activated sensor lights. The only thing seen on the camera has been rats, and a one very stealthy cat. Very classy security door. So glad you got that worked out! The fox won’t forget, but your defences sound pretty good. Perhaps you could run a cord from the door to your bedroom and open the door for them without getting out of bed. The door on tracks is a great idea.